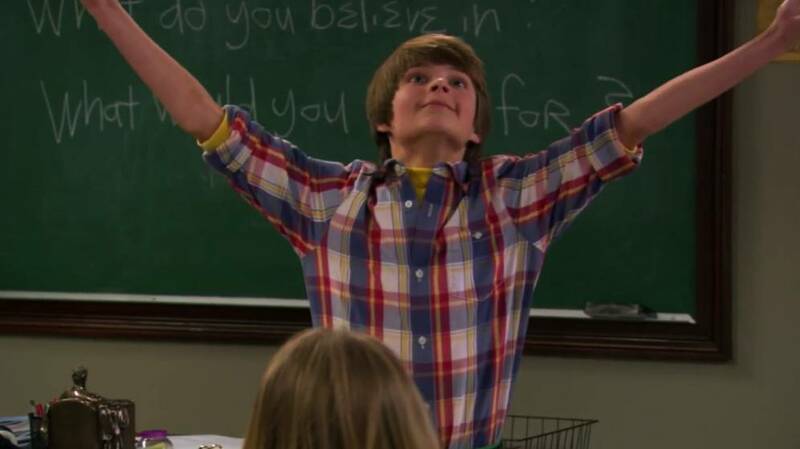 Farkle is Gay, and That’s Okay! I can’t be the only grown man watching Girl Meets World on the Disney Channel, right…? Right? Aw c’mon…it’s got nostalgia appeal! It’s the sequel to Boy Meets World. It’s Corey and Topanga back together! And they just brought Shawn back! Oh fine, judge me. In any event, Girl Meets World is the latest hit for the Disney Channel. As many ‘90s kids know by now, it’s about Riley Matthews, the daughter of Corey Matthews, (the main character from Boy Meets World), and her friends,as they deal with junior high problems, etc. Essentially, it’s the same formula as the old series, but GMW has an obvious legacy element to it. Characters from BMW have been known to pop up, including Stuart Minkus, the nerdy blonde kid from BMW’s first season. And wouldn’t you know it, our ol’ buddy Minkis has a son on Girl Meets World. Farkle Minkus, played by young Corey Fogelmanis, is a short and skinny character who doesn’t let his small stature contain his massive intelligence, or his quirky personality. He’s an extremely flamboyant character, who even has Dr. Evil-ish ambitions of conquering the world. Fogelmanis is a very likeable actor, and his performances tend to be among the highlights of the average GMW episode. 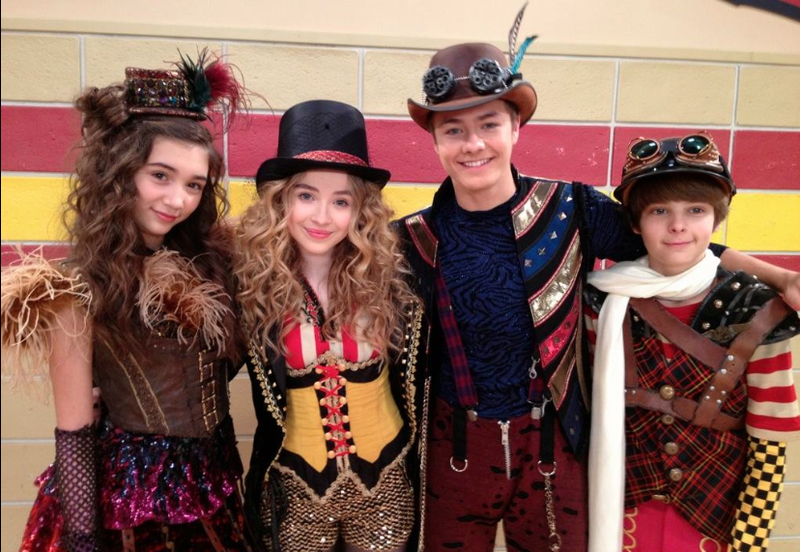 GMW has positioned Farkle in sort of a modern day Steve Urkel role. He’s super intelligent, provides comic relief, and is a friend to the other characters. He’s talked about liking both Riley and her best friend Maya. But at the moment, he’s not a romantic interest for either of them. Farkle also tends to call for very big, flamboyant performances from Fogelmanis. The nature of these performances have sparked various questions and theories from GMW fans about Farkle’s sexuality. 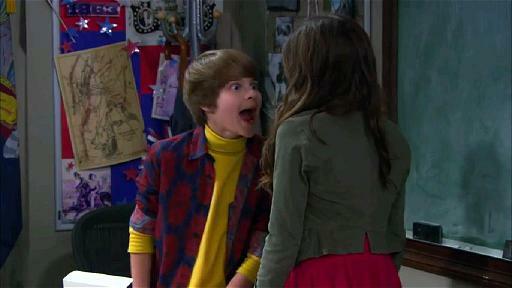 At the risk of sounding creepy, I’ve had those same suspicions about Farkle. And to be clear, this is strictly about the character, not Fogelmanis. I can’t necessarily point to one specific thing about Farkle that sparked my suspicion. It just sort of happened. Interestingly enough, the Disney Channel recently set a precedent (albeit a mild one) for gay characters on the network. Last year an episode of Good Luck Charlie revealed that a character had two lesbian mothers. 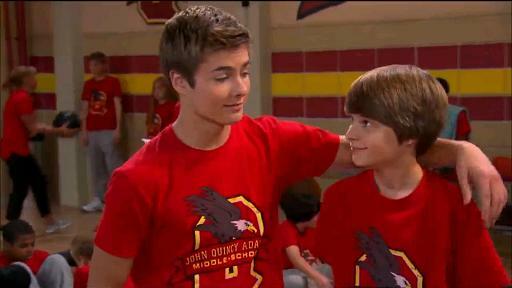 There’s been nothing on Girl Meets World that directly suggests Farkle is gay, or could even be pondering such things. But that doesn’t change the fact that Disney has an awesome opportunity here. They’ll ruffle some feathers, to be sure. But they can also do something they’ve never done before, and do it on a show with more eyes on it that your average series for young people. What’s more, GMW is a show that lends itself to this kind of talk about self discovery and growing up. So I say let’s do it! Let’s make Farkle the Disney Channel’s first gay teenager. 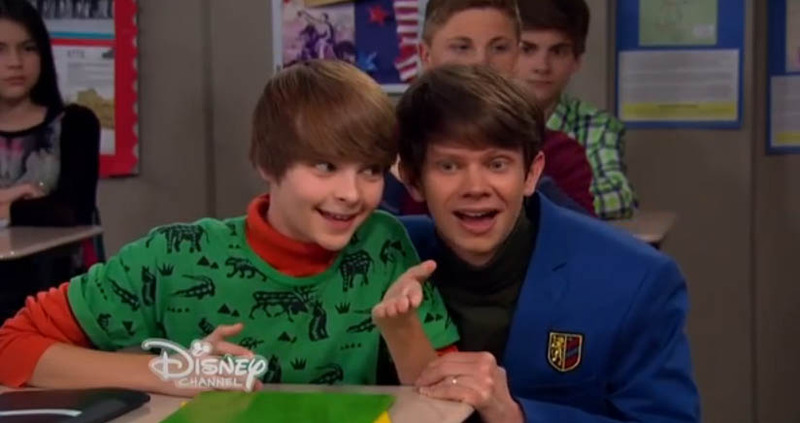 The show has established that Farkle gets bullied sometimes. So let’s lead in with that. Let’s have Farkle getting teased about allegedly being gay. Riley, Maya, Lucas (the show’s resident hunk and Riley’s love interest) come to the rescue. Then, later in the episode, Farkle drops the bomb. We wouldn’t need to dive into the mechanics of how Farkle discovered it. From where I sit, he’s known since at least the start of the series, and he’s tried to cover it up by pining for Riley and Maya. Riley, Maya, and Lucas would naturally be a little bit shocked by Farkle’s revelation. From there, we go to Papa Corey, who talks about how it can sometimes be difficult for someone to come to terms with this kind of thing, and that lot of people have trouble accepting it. But in the end, he’s still the same Farkle he’s always been. We close the episode with Riley, Maya, and Lucas protecting Farkle from the bullies, and Riley giving the little guy a hug. Aw heck, how about a group hug! And that’s it. They put it out there, and they never have to touch it again if they don’t want to. The important thing is that Disney makes a statement about gay teens. And they put out a good message about Farkle’s friends accepting him for who he is. Girl Meets World is such a great stage for this kind of thing. It’s a show with characters that millennials grew up on, and can serve to remind them of the changes they’ve brought, and can continue to bring to the world. For the kids, it’s a bold statement: If you’re gay, that’s okay. Your true friends will stand by you. Am I hoping for too much? Maybe. Such a major change to an already-established character would be a pretty bold move for Disney. Image 1 from theillumi-nerdi.blogspot.com. Image 2 from thatsavvy.wordpress.com. Images 3, 4, and 6 from girlmeetsworld.wikia.com. Image 5 from disney.com. This entry was posted in Television and tagged Blatant Insubordination, Boy Meets World, Corey Fogelmanis, Disney, Farkle (Girl Meets World), Girl Meets World, Rob Siebert, The Disney Channel, TV on 01/13/2015 by primaryignition.